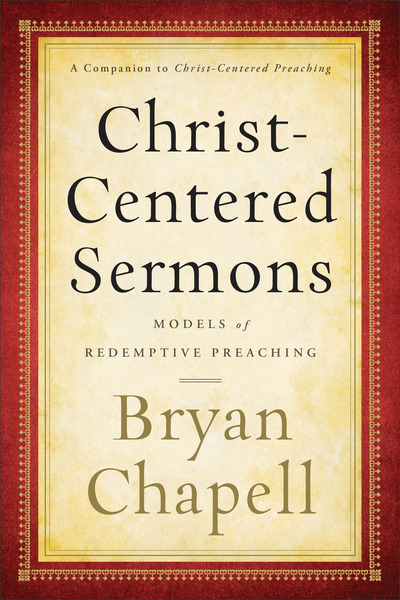 Highly regarded preacher and teacher Bryan Chapell shows readers how he has prepared expository sermons according to the principles he developed in his bestselling Christ-Centered Preaching. This companion volume provides concrete examples of how a redemptive approach to Scripture is fleshed out in various types of sermons and various genres of the Bible. The example sermons not only demonstrate different approaches but also are analyzed for pedagogical purposes, helping readers move from theory to practice. In essence, the book allows students and preachers to look over Chapell's shoulder as he prepares these messages to learn how to construct their own expository sermons that communicate grace and truth from both the Old and New Testaments.